Our mission is to empower people with disabilities from Northern Michigan with interactive experiences, both artistic and cultural, while providing opportunities for personal growth and learning. Art was the first of all languages. It remains today our best and most universal vehicle for expression. 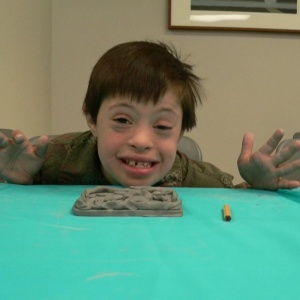 For many people faced with special needs, the arts are an important way to define themselves in our world. Arts for All provides access and opportunities for children and adults with disabilities to experience and grow through the arts. Over the past 15 years, Arts for All has touched the lives of thousands of children and adults with disabilities in northwest lower Michigan through music, dance, drama, creative writing and visual art. Every person with a disability deserves access to high quality arts learning experiences. All artists in schools and art educators should be prepared to include students with disabilities in their instruction. All children, youth and adults, with disabilities should have complete access to cultural facilities and activities. All individuals with disabilities who aspire to careers in the arts should have the opportunity to develop creative skills. See more of the fun, educational and creative things we do in our Photo Gallery.